Modern Technology with a Classic Design! 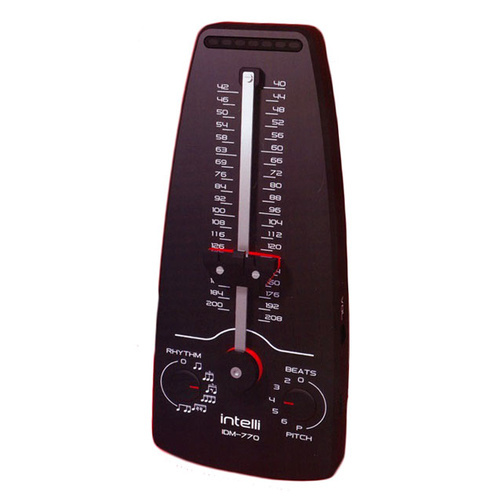 The Intelli IDM770 Digital Metronome offers modern technology with a classic design. 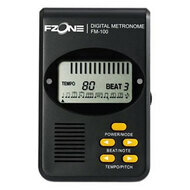 This digital metronome comes with a traditional twist, the tempo is adjusted with a sliding counterweight-style switch like those usually found on traditional pendulum metronomes. 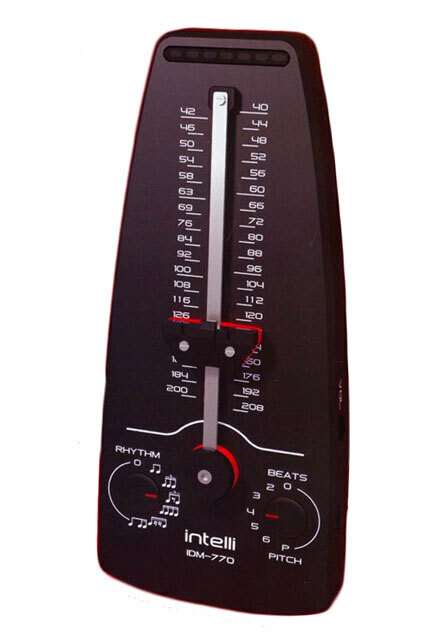 Modern features include a reference pitch generator and seven rhythm patterns with a six-beat range for a combined total of forty-two rhythms. A built-in dynamic speaker with adjustable volume, a headphone out, and a Micro USB power connection round out the package. Tones: Tones for accented beat (chime), weak beat (drum), and rhythm (wood block).